Your local web & graphic designer, foster carer, Beagle slave and recovering IT geek. With nearly 20 years of experience under my belt, you can have your web site or business design needs handled confidently by a seasoned professional. Formerly a SharePoint gal, you will now find me hanging out primarily in WordPress or Shopify land. Although if my client’s need it, I may pop into other CMS and platforms for a quick visit. I take the time to understand your needs and the needs of your customers to make sure your new web site is a winner for your business. My skills are not just specialised to the digital world, I specialise in print design too. With my clients ranging from Cafè’s to Real Estate Agencies, I can help you with all of your business stationery, advertising and signage needs too. Want to learn Web Design yourself? 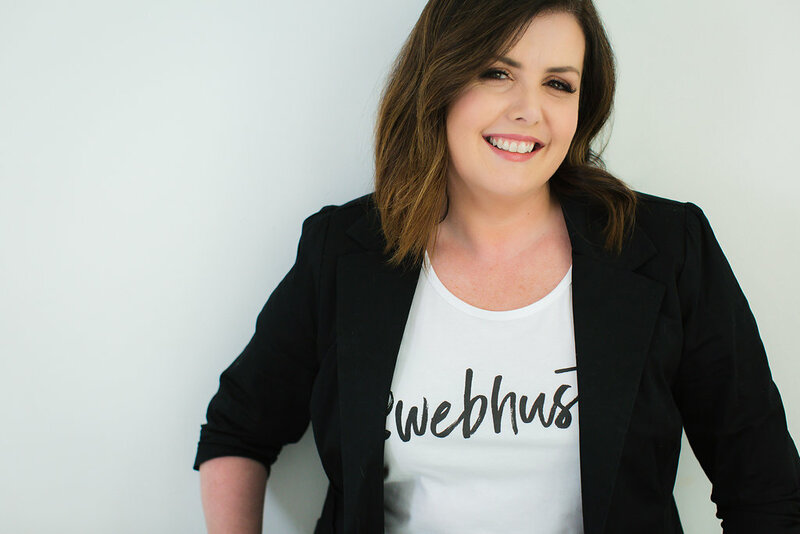 You may not know, but I also run an online learning site called Web Hustle. Here provide tutorials, blog posts, free downloadable and online courses to teaching people just like you, how to become web designers. You’ll be able to Expand your skills, grow your confidence and add web design to the list of skills you can provide to your own clients and business. Stay up to date with my latest projects and be the first to hear about special sales and discounts on courses and services. Success! Thank you for subscribing. A confirmation email it winging its way to you right now.